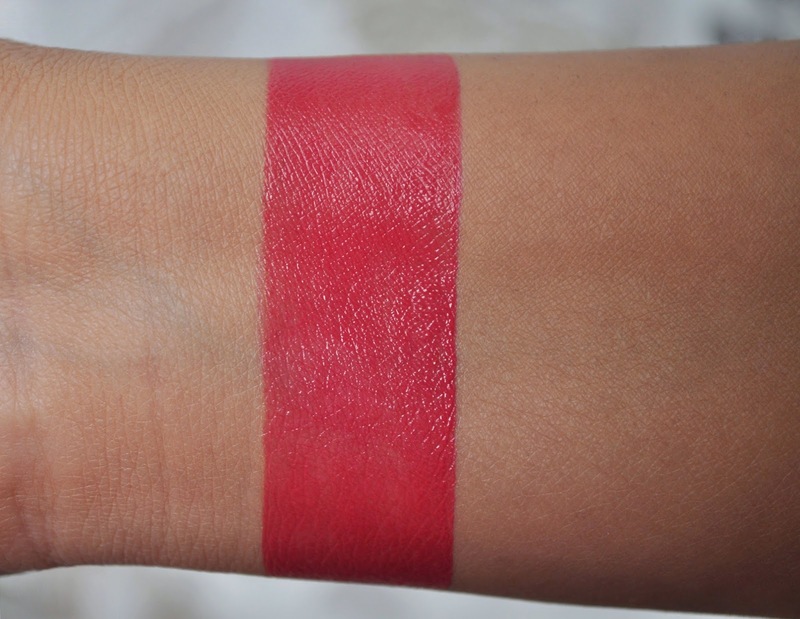 Lavshuca's LavFake (limited edition) in Red Fake 01 is a multitasking stain that can be used on the eyes, cheeks and lips. I'm a sucker for all things red, so I had to buy this. LavFake has a velvety dry, silicone consistency, yet still creamy in texture. It's long-lasting on the eyes, cheeks and lips; creasing slights on the eyes and, in this case, I don't mind) and lacking moisture in the lips department. 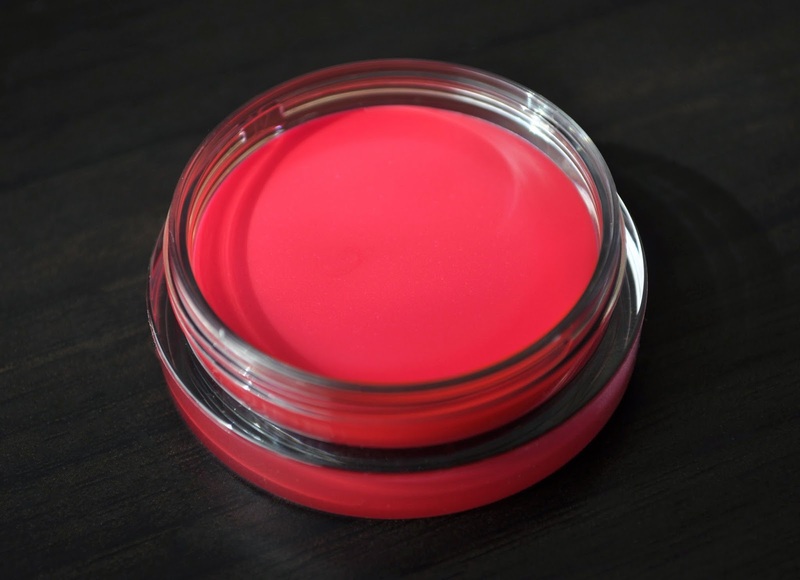 Red Fake 01 is a pretty rose-red, that gives you a sheer (yet buildable), semi-matte flush. I found LavFake performed best when applied with my phalanges. Wearing LavFake Red Fake 01 on my lids, cheeks and lips. Sorry for being a little out of focus. Yes, I cut my hair. I'm not a stranger to short hair (I've had it shorter than this), but it's been a while and I feel odd. In a rush to get out the door, I forgot to take a picture of me looking down to give you a better view of Red Fake 01 on my lids...Oops. 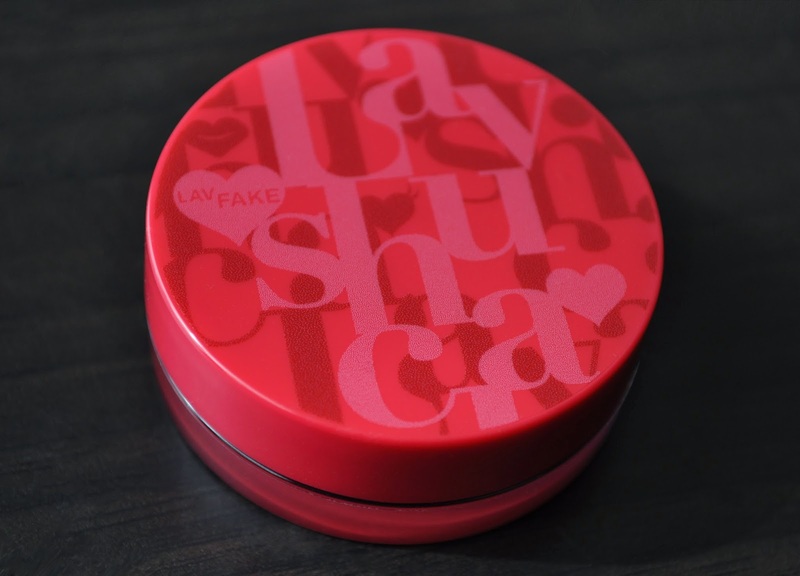 Overall, I enjoy Lavshuca's LavFake in Red Fake 01, but I wouldn't say it's a must have for our beauty arsenal. It really livens up the face. The more i use it, the more I like it. Thank you Julie. The packaging is is adorable, and the product wears beautifully. You may be able to find it on ebay and the like. You look gorgeous with this shorter hair. Not older, just beautiful! And doesn't hurt that this red is such a flattering shade for you. You seriously have never looked better. I LOVE your hair--this color is absolutely PERFECT for your skin. This LavFake stuff looks interesting, and on your skin...wow! I am just now starting to test out "cream blushes", in my mid thirties, because I am apparently hitting that age where I get flaky cheeks. My first attempt will be a NARS Multiple...I have been a powder blush girl forever. This could get interesting. Thank you Ame <3 I've had me hair long for so long, it's taking a while to get used to having it short again. I cut about 5 to 6 inches. 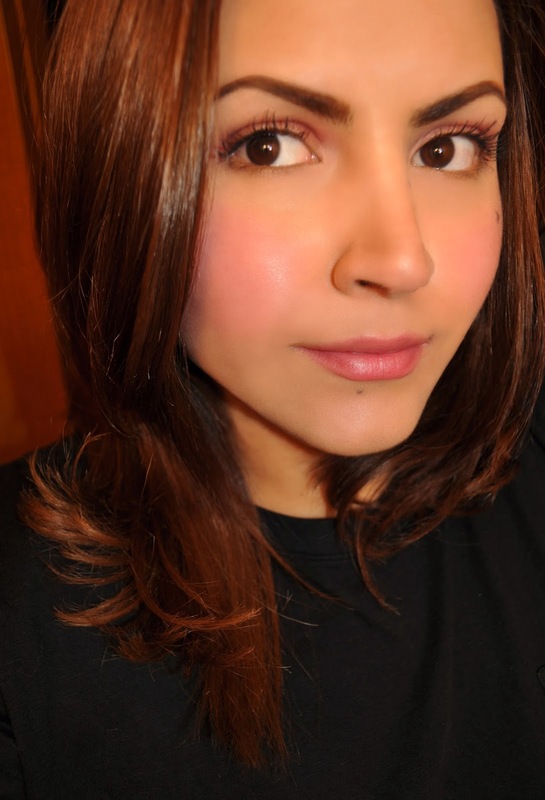 Oh, and Laura Mercier is great as well. Well the hair is fantastic--this length and this color! LOVE! My biggest hurdle in makeup and skincare is that so many brands have started to cheap out and incorporate Castor Oil, Castor products and Lanolin instead of using really good quality ingredients and moisturizers in them. That rules a giant list of brands and products out for me! I didn't see any of those listed in the Multiple ingredient list, so I am hopeful I didn't just miss them, but I know it's in Bobbi Brown's, and a few others. I will check the rest you mentioned out, and hopefully I find another option sans those ingredients! Thanks!!! I missed this comment, sorry for the late reply Ame! I understand what you mean, does your skin react to those products? How goes your cream blushers hunt? Have you tried any of the multiples yet? I tried the Nars Multiples and took those back after a few days because they didn't really feel good on my skin, or stay on my skin very long. They wouldn't "dry down" at all and it felt like they were sliding off my face. I'd look in the mirror after a few hours and my jaw would be really nicely glowing! Right now I am trying the Josie Maran Coconut Watercolor Cheek Gelee and that's going ok. Her cream blush, sadly, has castor oil in it. When I put castor or lanolin on my skin, it blisters almost immediately where those products touch. Sometimes if lanolin is like the last ingredient on the list, and there's only a trace in there, it might not react so badly, but castor oil is not my friend. shame that the multiples didn't work out, but who knows, you may start a luminous jaw trend :P I have a few of the multiples, use them every which way, and haven't experienced any slipping before. Have you tried Daniel Sandler's Watercolor Creme Rouge or Watercolour Fluid Blushers?